The Ablon Skin Institute in Manhattan Beach is a single physician clinic where dermatologist Dr. Glynis Ablon provides a wide range of cosmetic care and research. 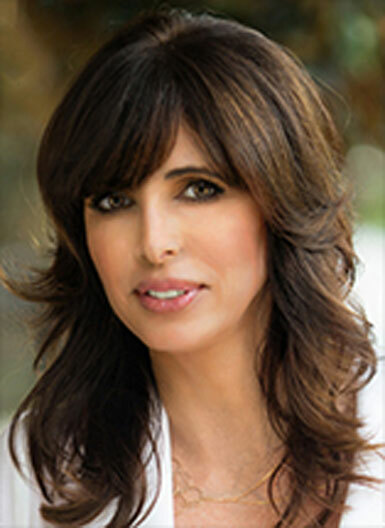 Glynis Ablon, M.D., F.A.A.D., is a board certified dermatologist and cosmetic surgeon, who completed her training at Baylor School of Medicine in Houston, Texas. Dr. Ablon is an Associate Clinical Professor at UCLA, practicing at both UCLA and LCMH. She is active in clinical research and the first published author in the United States in mesotherapy. Dr. Ablon is an on-camera medical consultant for The Doctors Show, E! Entertainment, Extra, ABC, CBS, KCAL and Lifetime. She is a Fellow of the American Academy of Dermatology, American Academy of Liposuction Surgery, American Society for Laser Medicine and Surgery, and American Society for Dermatologic Surgery. Dr. Ablon also received the IMCAS Research Award 2010 for innovative research on Botulinum Toxins. We got together with Dr. Ablon to ask her a few questons about her career and clinic. How did your background influence your journey to cosmetic dermatology? I always wanted to be a doctor. My parents called me a “Red Cross Nurse” because I always wanted to help people. I loved the diversity found in dermatology from medical, pediatric and surgical dermatology, to cosmetic dermatology. It is nice to follow entire families through their lives. We can offer our patients a more full service clinic and lifestyle. I really started in the cosmetic dermatology realm in my residency at Baylor with mentors like Ted Rosen and Leonard Goldberg, and lasers with Dr Moise Levy. I liked the challenge of difficult cases, but also making people look and feel their best, starting with my very first and most difficult cosmetic client, my mom. You're in a LA which has to be a hyper-competitive market. What can you tell us about Ablon Skin Institute? My clinic is located on the Manhattan Beach Studio Lot in Manhattan Beach, California, offering full service medical, pediatric, surgical and cosmetic dermatology. I am still a very type A solo practitioner with a staff of 8 and an office that includes a research center of almost 5000 square feet. I oversee everything, but am good at delegating tasks. I think it is critical if you run a small solo practice to have good checks and balances. A good office manager can really lighten your load, but finding one that will do diligence evaluating office expenses to keep your overhead as low as possible can be challenging, so I do it myself. Staffing is always and issue. How have you made that work? Staff is probably the second most critical issue in a medical office (first being your talent as a physician). My staff is paid well; I give bonuses every year (and sometimes during the year, if they are performing exceptionally). I also offer 401K and profit sharing. If you have good staff you want them to stay, so you must be a great boss and offer competitive monetary compensation. I don’t like commissions because I don’t want my staff promoting things they don’t believe in just to make extra money. If my patients are happy, which means the office is doing well, then my staff is rewarded. I have individuals that have been with me for 5-15 years. If you have a problem employee, move on it quickly. Give them written warning, and then say goodbye; they can be a cancer in your office if you don’t. You also have a lot of technology. What are your considerations before buying laser or IPL technologies? I have 20 lasers in my office. I love new technology but it has to fit into your practice and patient population. Don’t just buy to buy. I test all technology before purchasing. I have only one laser purchase regret and it’s the one laser I didn’t test out before buying. I went along with a colleague’s recommendation and It sits in my storage closet. I love radiofrequency with microneedling. I still love my IPL and versapulse. Always look at the revenue you can generate from a laser against the purchase price. Always negotiate prices! I don’t like machines that are extremely painful even if results are decent. I have been lucky to have some free media exposure early on in my career, so I have never advertised. I have recently started social media, as it appears to be the wave of the future and not going away anytime soon. I do charge for all cosmetic consultations. I don’t want looky-loos. If patients are willing to pay for consult they are more likely to do the procedure. We do apply our consult fees to future treatments, so it is not lost or wasted. I do believe word of mouth is still the best way to get new patients. Are you looking to add any new treatments in the near future? Is anything on your radar? I am always on the look out for new treatments, but I am extremely picky. It is important to try out new technology in your office to know how it works, how it feels, what’s the pain level, and who needs to run the machine. You don’t really want to buy just to have “the newest” technology but rather the best. And you must look at your specific patient population and what they need (you wouldn’t spend money on a new hair removal laser if you are treating the majority of light haired individuals). I think radiofrequency with microneedling is an amazing advancement. We can treat all skin types and don’t have the complications like lasers with pigmentary alteration. What are things you've learned that you'd like to share? You can’t please all of the patients all of the time! It is so important in this time of social media that you stay true to yourself. Do your best, and if you get a bad feeling from a patient before you start performing cosmetic procedures on them, don’t do it. If a patient comes in complaining about another good doctor you know, don’t treat the patient. And if your staff has a really bad feeling about the patient, don’t treat that patient. It will make your life less stressful, and I really believe less stress is the key to longevity both in life and the profession. This business can be life altering (I treated a patient with fillers status post brain surgery with a skull depression that hadn’t looked or felt normal in 6 years since her surgery, making her skull now a normal shape leaving her ecstatic), but it can also drain you if you don’t stay true to your self. Going to work doesn’t feel like a job because I love it so much, but I think that’s because I have found a great balance in work, home life and playtime. It took my mom’s meningitis and near death experience and my own attack of facial paralysis to realize 5 years ago that I needed to be more serious about reducing stress. I wrote a book called What’s Stressing Your Face to teach others what I learned and how to better manage the environment we live in. My best advice is to find balance in your life. Work on lowering stress in every aspect of your life. Spend time with those you love, doing what you love. Surround yourself with great people, great staff and great friends who bring you up, and envelop you with love. Life is short, don’t waste a day not being happy! ASI Research Center is an independent clinical research site specializing in cosmetic and medical dermatology clinical trials. The Center was founded by Glynis Ablon, MD, FAAD in 2008. Dr. Ablon began her interest in research at Pomona College in the Genetics Department in 1990, and has expanded her research experience over the past 20 years culminating in the opening of ASI Research Center. The center has its own full-time staff and dedicated office within Ablon Skin Institute. Our research center is equipped with more than 20 laser systems and state of the art photography systems including Visia, Janus, FotoFinder Mediscope and Nikon Dermalite Macrophotography. ASI provides a full range of medical, surgical, and cosmetic dermatology services.